Professor Salvador Ryan of Maynooth has announced today that a festschrift in honour of Professor Brendan McConvery, is to be launched in a fortnight’s time in Saint Patrick’s College, Maynooth, Co Kildare. I am one of the many contributors to The Cultural Reception of the Bible: Explorations in Theology, Literature and the Arts, published by Four Courts Press and being launched 5 December in the Pugin Hall in Maynooth, is edited by Dr Salvador Ryan, Professor of Ecclesiastical History in Maynooth, and Dr Liam Tracey, Professor of Liturgy in Maynooth. Brendan McConvery was my lecturer in Biblical studies over 30 years ago, and I have worked with him again in recent years in his capacity as editor of the Redemptorist publication Reality. In 30 essays, this wide-ranging volume examines the cultural impact of biblical texts, from the early Middle Ages to the present day, on areas such as theology, philosophy, ethics, ecology, politics, literature, art, music and film. My chapter looks at the life and work of Fenton John Anthony Hort (1828-1892), the Cambridge theologian who was one of the three members of the ‘Cambridge Triumvirate,’ along with Brooke Westcott and JB Lightfoot. Hort and Westcott edited The New Testament in the Original Greek, which influenced every subsequent translation of the Greek New Testament into England. Fenton Hort has been called the ‘greatest English theologian of the (19th) century.’ But I was surprised during my times researching in Cambridge to discover that Fenton Hort was in fact Irish-born, spent his early days in Dublin, and always regarded Ireland as his home. 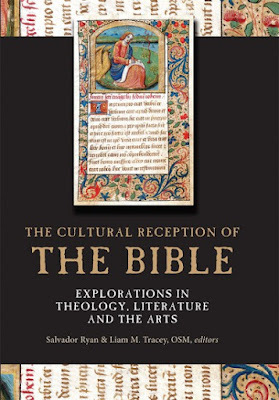 Contributions to this book range from Saadia Gaon’s tenth-century Arabic translation of the Pentateuch to Martin Scorsese’s 1988 film adaptation of The Last Temptation of Christ; from the biblically inspired writings of a late 17th-century French galley slave to Paul Ricoeur’s reading of The Song of Songs; and from the deep biblical culture of fifth-century Rome to the divisions that biblical verses perpetuated in late 20th-century Ulster. The contributors are: Cardinal Joseph W. Tobin, CSsR (Newark); Thomas O’Loughlin (University of Nottingham); Cornelius Casey, CSsR (Trinity College Dblib); Jeremy Corley (Saint Patrick’s College, Maynooth); Noel O’Sullivan (SPCM); Michael A Conway (SPCM); Jessie Rogers (SPCM); Martin O’Kane (University Wales, Trinity Saint David’s); Kerry Houston (Dublin Institute of Technology); Michael O’Dwyer (Maynooth University); Brian Cosgrove (Maynooth); Diane Corkery (University of Strathclyde); Raphael Gallagher, CSsR (Alphonsianum, Rome); Terence Kennedy, CSsR (Alphonsianum, Rome); Padraig Corkery (Maynooth); Carol Dempsey, OP (University of Portland, Oregon); Thomas R Whelan, CSSp (National Centre for Liturgy, Maynooth); Liam Tracey, OSM (Maynooth); Penelope Woods (Maynooth); Ruth Whelan (Maynooth); Elochukwu Uzukwu, CSSp (Duquesne University); Hugh Connolly (Centre Culturel Irlandais, Paris); John-Paul Sheridan (Maynooth); Helen Cashell-Moran (TCD); Katherine Meyer (TCD); Seamus O’Connell (Maynooth); Jonathan Kearney (DCU); Patrick Comerford (CITI/TCD); Martin Henry (Maynooth); Paul Clogher (Waterford Institute of Technology); and the port John F Deane.